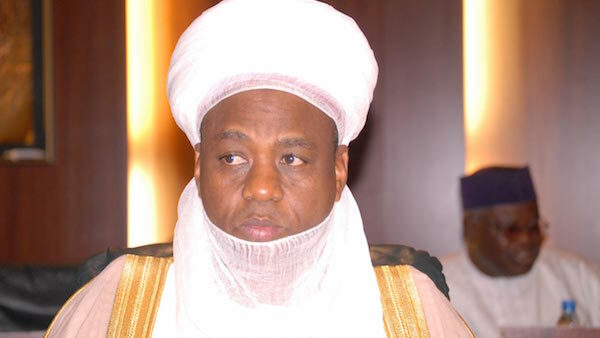 Fulani herdsmen killings: NSCIA blasts CAN, accuses Christian body of hate speech, spewing "venom"
The Nigerian Supreme Council for Islamic Affairs (NSCIA) under the leadership of His Eminence, the Sultan of Sokoto, Alhaji Muhammad Saad Abubakr CFR, mni, makes this press release in response to the recent campaign of venom, hatred, calumny and unimaginable malice that smacks of intolerance and political brigandage by Reverend Musa Asake, the Secretary-General of the Christian Association of Nigeria (CAN) in response to the advice of the Jama’atu Nasril Islam (JNI). Muslims are being slaughtered in Southern communities with impunity as the media look the other way and they are being banished from Northern communities, including Tafawa Balewa, where the Muslim call to prayer has been banned and all mosques demolished, while everything is made to appear “normal”. It is only Christians that are being denied places of religious worship, being marginalized and “Islamized” in Nigeria – sheer deceit! Since it is clear to right-thinking Nigerians across religious divides that some of those who claim to be CAN leaders are desperate politicians in religious garbs, no one actually takes them seriously and that is why the Council does not usually dignify their puerile interventions and diatribes with reactions. The propagandist tactics of CAN are often done without tact or knowledge. Always impulsive and less reflective, CAN has often flayed President Buhari for furthering the phantom “Islamization” agenda with the appointment of any one whose name sounds Arabic or Islamic as Muslims. This informed why a Christian Prof. Salami was listed among the Muslim appointees of the Government by the ill-informed and mischievous characters who parade themselves as religious leaders. Those who see Nigerians only from nominal, ethnic or religious perspectives suffer from chronic myopia. As a matter of fact, to say all Fulanis are Muslims is as foolish as saying all Igbos are Christians and that all Hausas are Muslims. That exactly is one of the claims of Rev Musa Asake; a man bearing Musa but who would question why a Muslim staff member of the NSCIA should bear Christian Okonkwo.